John Lennon was a British musician/singer/songwriter who co-founded The Beatles, of course. However, he was also an activist as well. John Lennon was born in Liverpool on the 9th October 1940 with the full name of John Winston Lennon. He died on the 8th December 1980 when Mark David Chapman shot him in the back at close range. This happened as he and his wife, Yoko Ono Lennon, were returning to their Manhattan apartment in New York City. 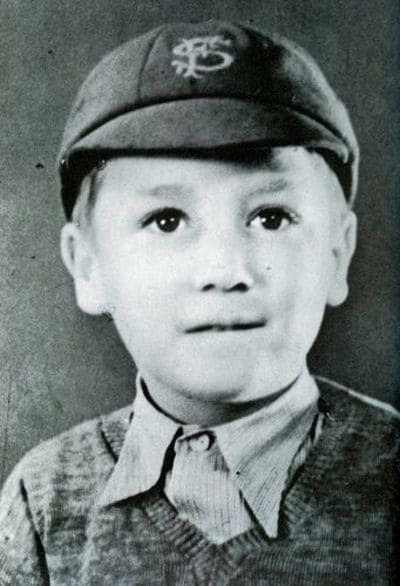 Lennon’s parents named him after his grandfather, John ‘Jack’ Lennon, as well as giving him a middle name after Prime Minister, Winston Churchill. However, John Lennon’s father, Alfred, was always always going absent from the family home leaving his mother Julia to look after young John. Then, his father left for good when he was 5 years old. It would be another 20 years before John Lennon would see his dad again. John’s mother surrendered custody of him so that her sister Mimi could look after him. He lived at 251, Menlove Avenue, Woolton, Liverpool with his aunt where he spent most of his younger days. John’s gifts as a child included a mouth organ and a guitar. He attended Dovedale Primary School, then Quarry Bank High School in Liverpool from September 1952 to 1957. Lennon then went to Liverpool College of Art. However, he began wearing Teddy Boy gear and was rebellious and a bit of a tearaway. So much so that the college expelled him before his final year there. In 1956 when he was 15 years old, Lennon formed a skiffle group and called it The Quarrymen after the school he went to. Paul McCartney was at the Quarymen’s second gig and John invited Paul to join the group after they met up. After a short time, Paul McCartney introduced his friend, George Harrison to John but at 14 John thought he was too young. However, George impressed with his guitar audition so he joined the band. Paul McCartney, John Lennon, George Harrison, Stuart Sutcliffe and Pete Best. Then together with bass guitarist, Stuart Sutcliffe, Lennon’s friend from school, who later joined the band, they thought that the time was right to change the name of the group. So, in early 1960, The Quarrymen changed their name to The Beatles. In August 1960, The Beatles went to Hamburg, Germany after securing a 48 night residency there but they needed a drummer. 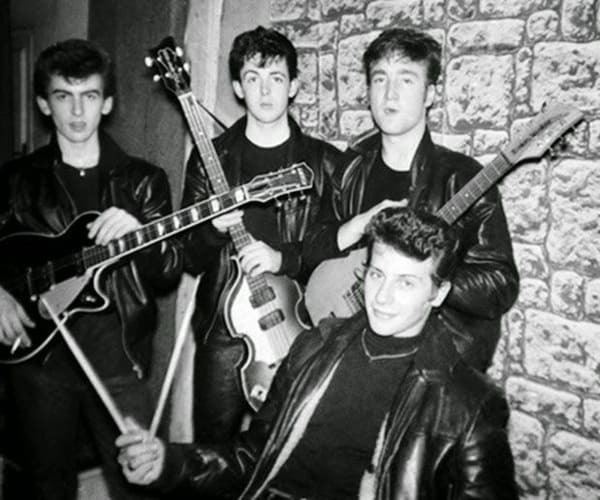 It was then that Pete Best joined the band. In April, the following year, while their manager was Allan Williams, The Beatles were back in Hamburg again. This time, they recorded their first single, ‘My Bonnie’ with singer, Tony Sheridan. Then in April 1962, they went back to Hamburg again, but this time, the big time was just around the corner. This is because, EMI signed them up in May that year and Brian Epstein began to manage the Beatles while Ringo Starr became the drummer. 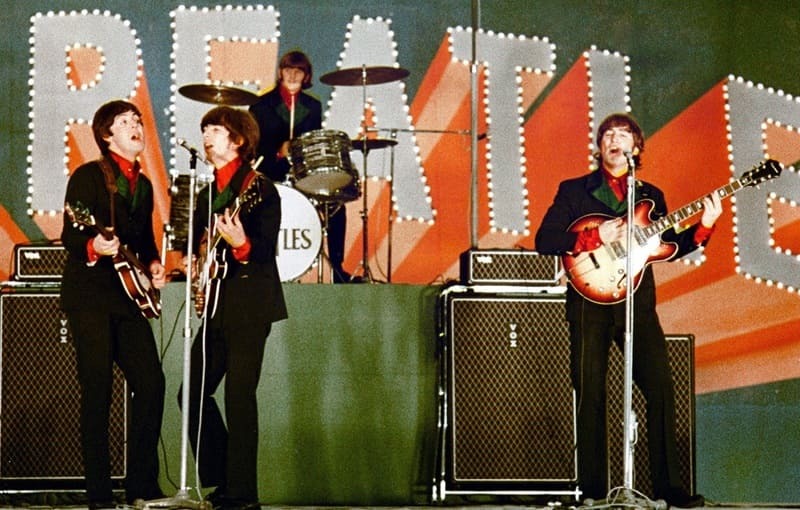 They released ‘Love Me Do’ and it was then that The Beatles hit the big time – the rest is history. John Lennon married Cynthia Lillian Powell on the 23rd August 1962. However, John left Cynthia for Yoko Ono after meeting her at the Indica Gallery in London in 1966 and forming a relationship with her around 18 months later. Cynthia got a divorce on the 8th November 1968 on the grounds of adultery. However, they did have a child together called, Julian Lennon. Yoko Ono and John (right) were soul mates and indeed spiritually close. 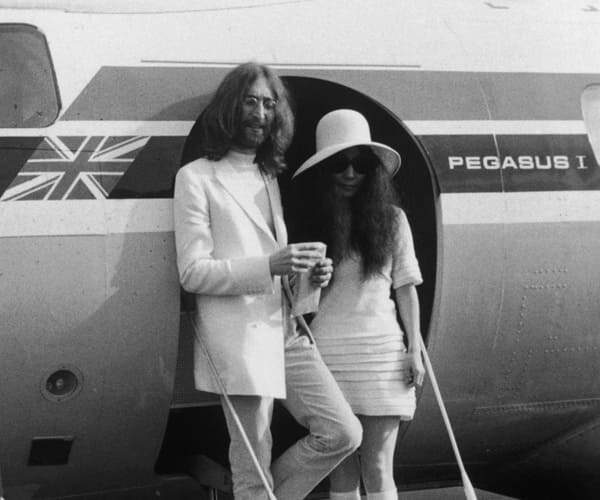 John married Yoko on the 20th March 1969 in Gibraltar, near Spain, Christ you know it ain’t easy! The success of The Beatles is legendary of course. However, towards the end of the 1960’s, around the time of the White Album, The Beatles were fragmenting. In 1970, the cat was finally out of the bag – The Beatles broke up. But, John had a ready-made group that he formed in 1969 – the Plastic Ono Band. John and Yoko moved to New York in August 1971 and continued recording together. Then in December of the same year they released ‘Happy Xmas (War Is Over)’ which they had great success with. Lennon was always a little rebellious and the split from The Beatles enabled his creativity to continue on his journey. However, his political views and activism became rather controversial. 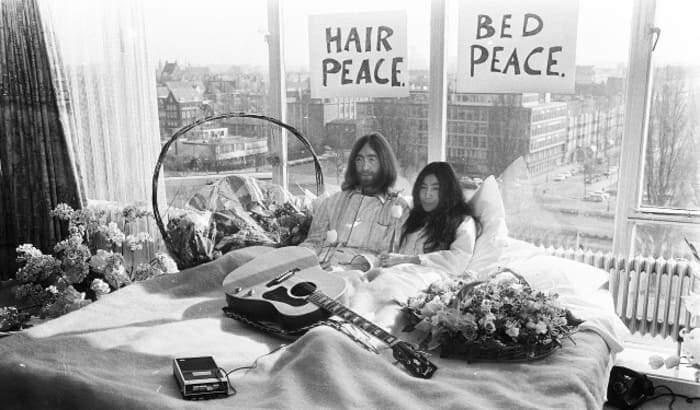 Indeed, he even used his honeymoon as a ‘Bed-In for Peace’ at the Amsterdam Hilton Hotel. Then he sympathised with the IRA in 1972 and the International Marxist Group together with a Trotskyist group formed in the UK. He came under the watchful eye of the FBI but they considered him a low threat since he was “constantly under the influence of narcotics”. 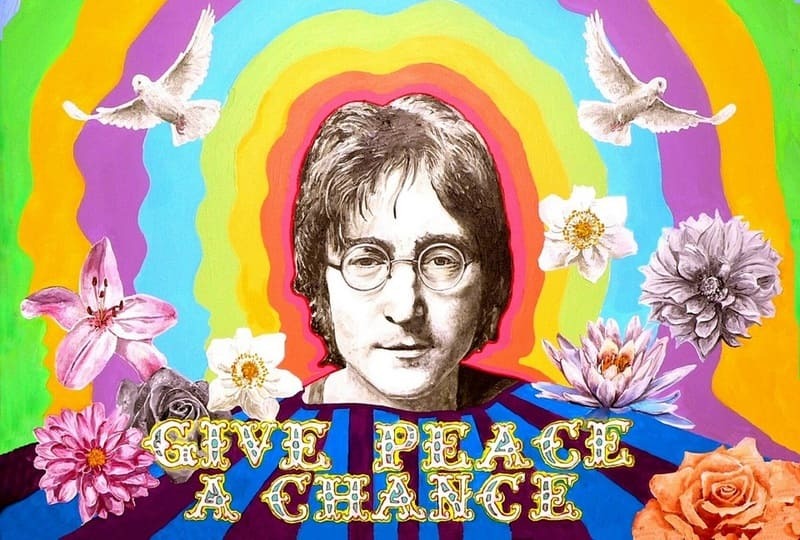 His songs, ‘Happy Xmas (War Is Over)’ and ‘Give Peace a Chance’ thought as anti-Vietnam War sentiments, meant that Lennon posed a threat to the Nixon administration. Any anti-war movement might have affected the re-election of Nixon so there was attempts to deport Lennon from America. 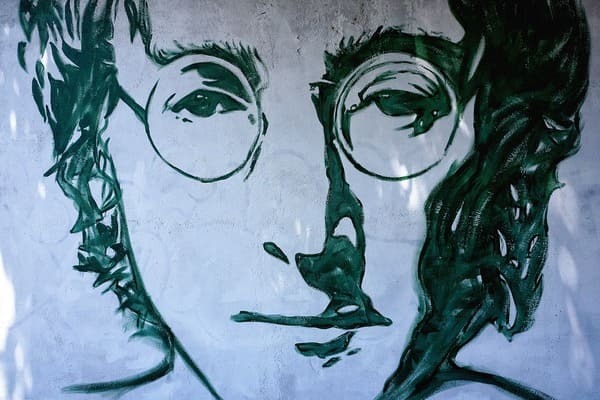 Obviously, since his ‘more popular than Jesus’ claim in 1966, John Lennon became a little outspoken and was beginning to alienate certain sections. Perhaps had he concentrated on music and not political activism, he may be still with us today! He remained friends with the rest of the Fab Four of course, but there was never any chance to reform. Yoko Ono Lennon scattered John’s ashes in New York’s Central Park where the Strawberry Fields Memorial is. Indeed, the story of John Lennon comes to an abrupt and sad end. But, his musical legacy lives on without any shadow of doubt!